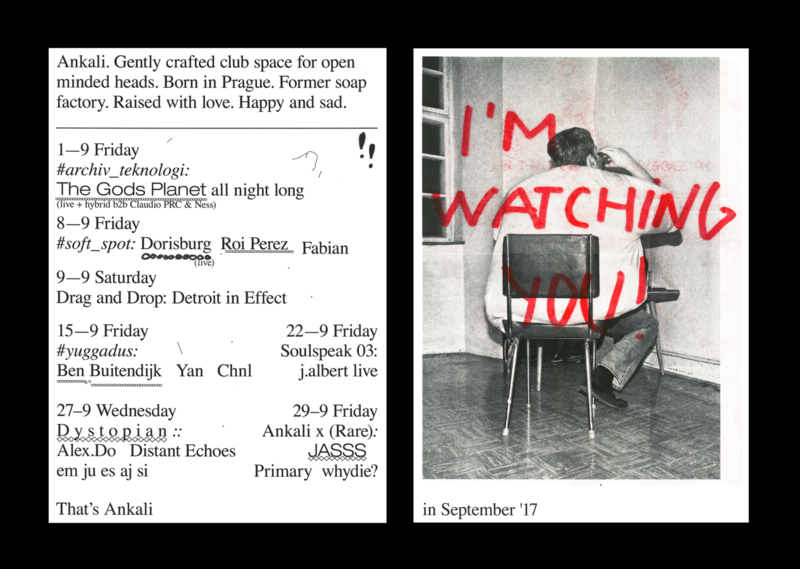 September edition of the Soft Spot series will see the return of the Swedish producer Dorisburg to Prague along with the eclectic house head Roi Perez. Alexander Berg aka Dorisburg has made a name for himself via EPs released on Aniara Recordings, Bossmusik and Northern Electronics. In 2016 he released his debut album ‘Irrblos’ on John Talabot’s label Hivern Discs and currently spends the weekends touring the globe with his live set. Berg’s emotion-heavy compositions represent the gentle warmth of European house. In his music, lush synths share space with trippy drum tracks and otherworldly samples to bewitching results. Taking over the decks after Dorisburg’s performance is Roi Perez, an Izraeli-born dj on steady rise since he’s joined the second wave of Panorama Bar residents a couple years back. Expect intense house music at its best. Opening the night is a local dj Fabian, who in contrast with his formative outfit Selektiv Mutism leans towards subtler and warmer sounds.